We’re in the process of updating our main site and will be discontinuing this older blog section. We’ll still keep this area posted for archival purposes. Please check out joecapasso.com to view some of our latest work. Just a quick preview of Stephanie and Kyle’s wedding at Laplaya Beach and Golf Resort in Naples, Florida. This destination wedding couple had a cloudy day – but sometimes cloudy evenings on the beach make for great sunset wedding photography! We’re looking forward to posting more images from this Naples Florida wedding in our portfolio soon! Below is a wedding album we designed for this couple’s Florida destination wedding. The Hyatt Regency Coconut Point is a popular hotel near Naples for Florida destination weddings. It’s proximity to Naples, Sarasota, and Miami, Florida make it a welcomed travel destination for wedding guests. 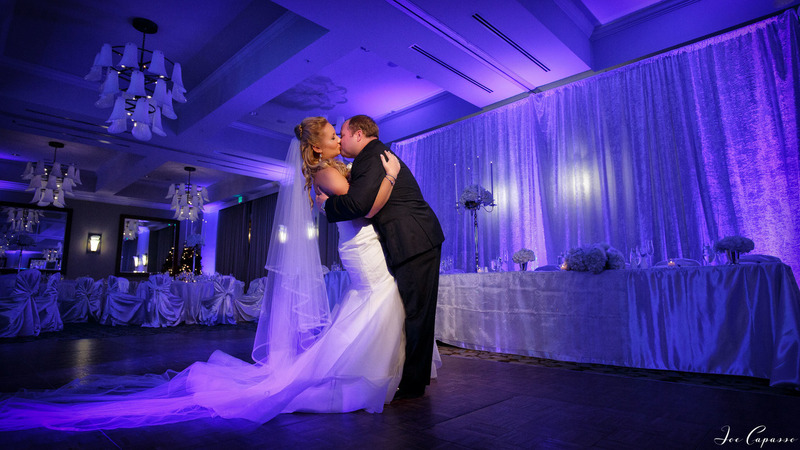 The Hyatt Regency Coconut point is one of Florida’s luxury hotels for destination weddings in Florida. What makes the hotel unique is it’s beautiful grounds and pools. A private beach is just a short boat ride away, perfect for sunset Florida weddings. The couple above decided on something commonly called a first look. It’s where the bride and groom see each other before their ceremony on their wedding day. It allows the couple to have a private moment alone before the ceremony, and provides the photographer with even more time for creative wedding photography. 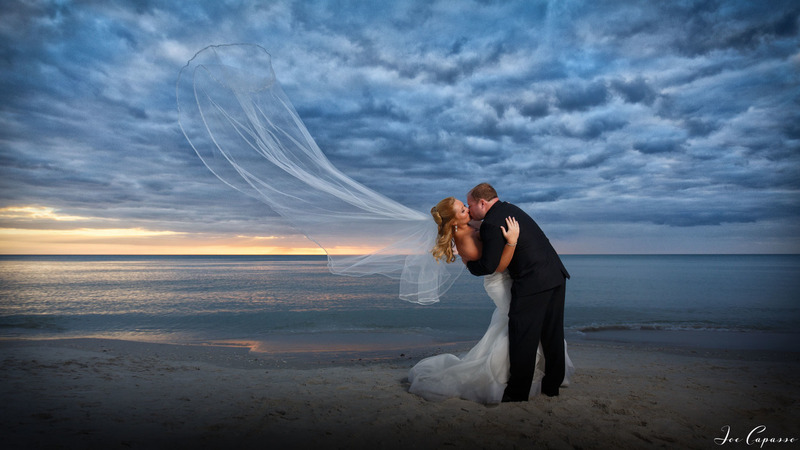 Joe Capasso is a Naples Florida wedding photographer. Capasso photographs Florida destination weddings in all major Florida cities including Sarasota, Tampa, and Miami. Joe Capasso is available to photograph weddings worldwide. Danielle and Andrew had their Fort Myers wedding at St. John XXIII Catholic Church. They later held a reception at the Sanibel Harbour Marriott, which is in Fort Myers, just outside of Sanibel. The couple has known each other for several years. Danielle met Andrew for the first time when he noticed her working in a retail clothing store, where he slipped her his number. They went out a few times, but lost touch with one another until Andrew turned on his TV one day and noticed Danielle working as a television news reporter. Andrew decided to give Danielle a call to see how she was doing, and the rest is history. Liz and James are having a Florida destination wedding in Sarasota at the Ringling Museum next year! The couple flew in from the Chicago area to check out this awesome wedding venue and have their engagement portraits taken! We’re looking forward to their Sarasota wedding next year! 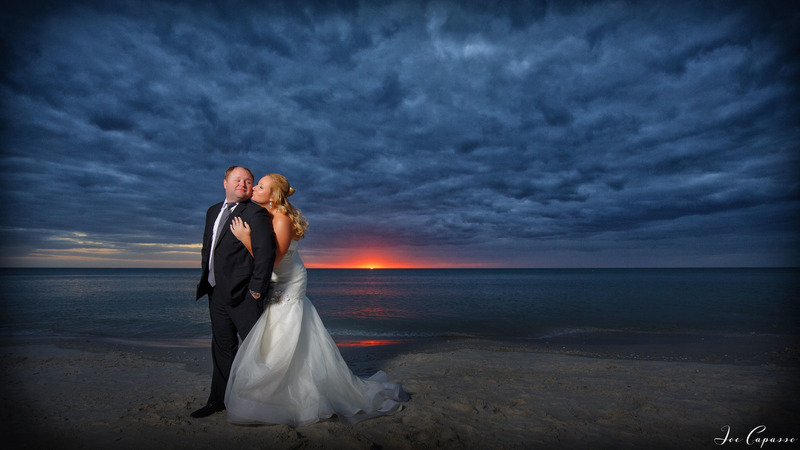 Joe Capasso is a Florida destination wedding photographer based in Naples, Florida. Capasso photographs weddings in Sarasota including the Ringling Museum, Ca d’zan Mansion, the Ritz Carlton Sarasota, Marie Selby Botanical Gardens, the Hyatt Regency Sarasota, the Lowes Don CeSar Hotel, and more! Travel available worldwide. If you’re having a Florida wedding, be sure to send an e-mail or call to inquire about availability. Popular wedding dates book 1-2 years in advance. Tiffany Lynn Johnson - Looks great Joe!! Pat Moll - Thank you, Joe for creating history thru your creative lense.